Magazine printing is a great way to showcase products and services. We offer high quality magazine printing and can assist you in magazine design and mailing service needs. With our knowledgeable staff and services, your full-color magazine printing is in good hands. Want more information on magazine printing? Upload files for magazine printing. A member of our sales team will be in contact with you regarding your files. Request a quote for magazine printing. A member of our sales team will be in contact with you regarding your request. 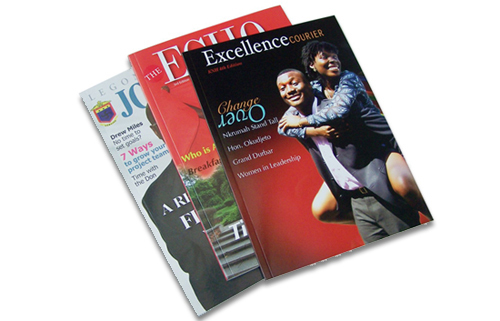 Contact us for more information about our magazine printing services.